Autumn time is here with the month of September. With there being a chill in the air, there is a need for hot food compared to the cold summer salads. Rosa’s Thai Cafe in Angel looks fairly small from the exterior. A few window seats enable you to sit and watch the world pass by. There is a bar area at the entrance. 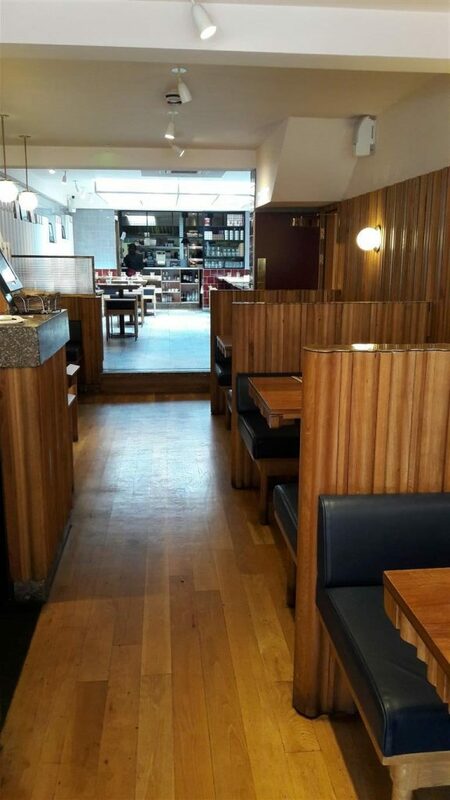 The first area of the restaurant is booth seating surrounded by wooden panels and beams. The back area is more light and airy due to the skylight and white walls. In this section, there is cushioned seating along the wall teamed with low chairs. 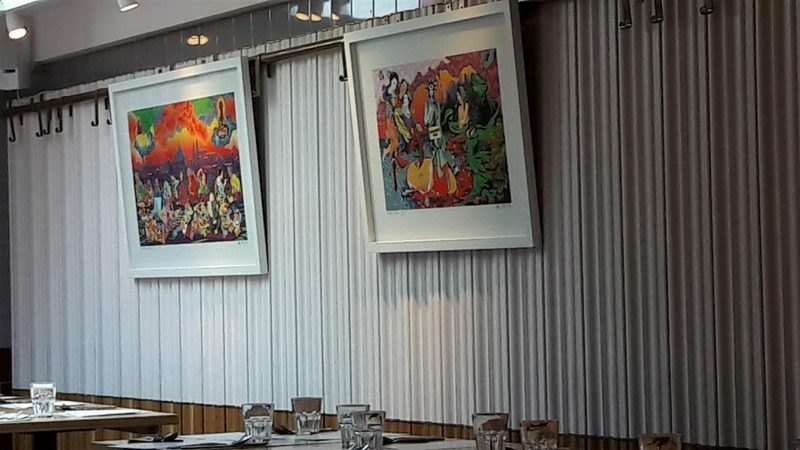 Colourful paintings decorate the walls. 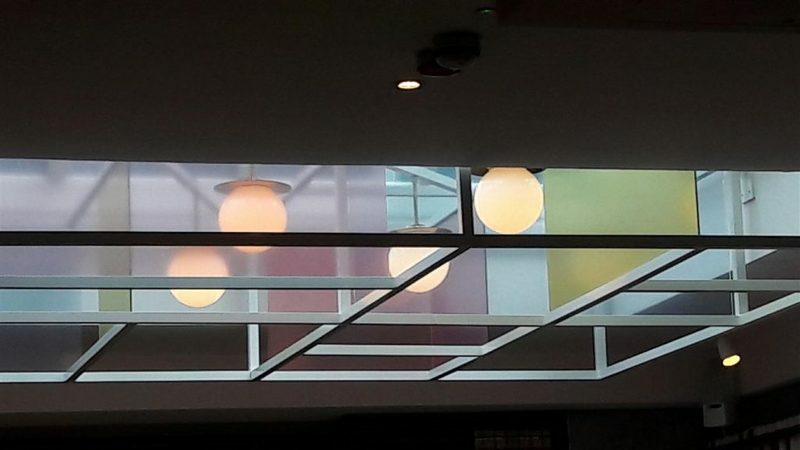 There is a nice simplicity to the decor and globe lighting. 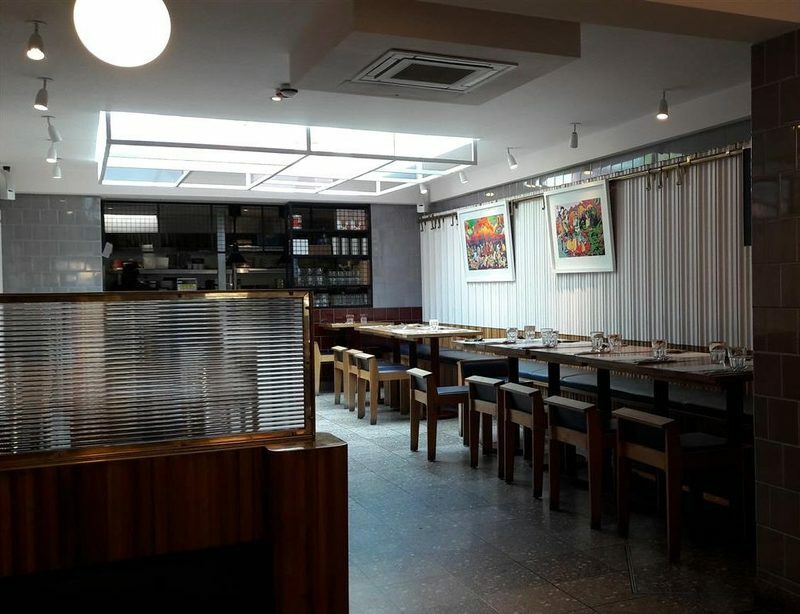 The restaurant is very clean, tidy and spacious. 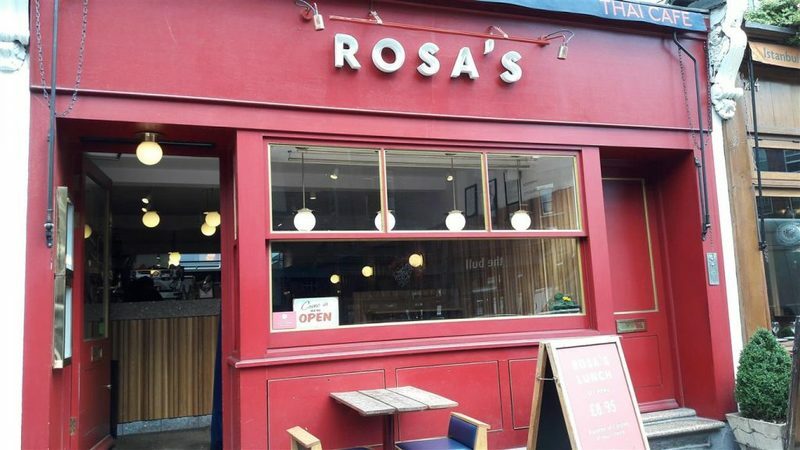 Situated right at the far end is Rosa’s open kitchen. The constant cooking sounds of the stirring in the wok and utensils can be heard. The Vegetarian Pad Thai was presented on a blue and white plate. The portion looked slightly small but once it was delved into, it was a good sized dish. Rosa’s Pad Thai was a plate full of rice noodles, big broccoli florets, some crinkle cut carrots, courgettes, fried tofu, spring onions and fresh beansprouts. It was garnished with crushed peanuts and a lime wedge. This time, the Pad Thai was ordered without the classic egg. Rosa’s Pad Thai had the aroma of a classic Pad Thai and the flavours were wonderful. The tangy and sweet tamarind sauce came through. The vegetables were cooked to perfection and the different textures brought a good dimension to the dish. Rosa’s Thai Cafe reminded me of why a good Pad Thai is a favourite of mine. The staff at Rosa’s Thai Cafe are friendly and gave service with a smile. The food was served quickly and brought out to the table steaming hot. Hot water was given in colourful orange cup and saucer. 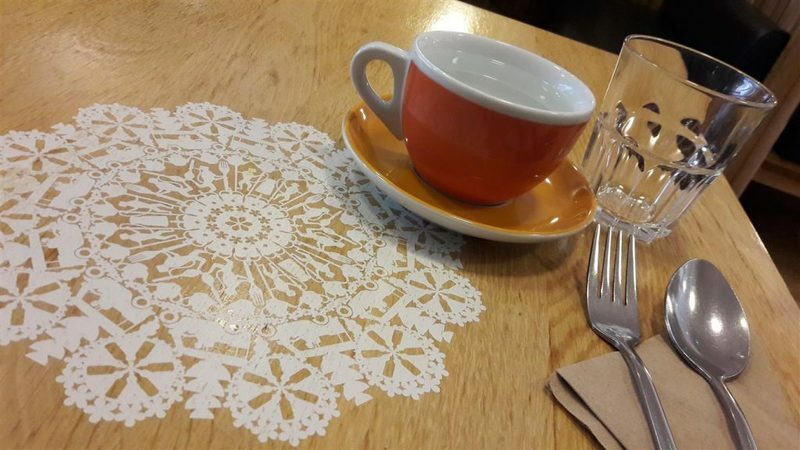 The wooden tables had an etched white design. 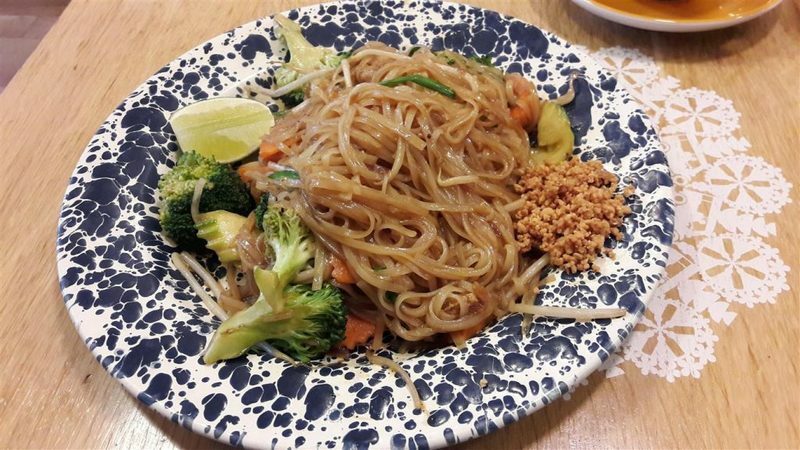 Rosa’s Thai Cafe is slightly set back from the well known Upper Street but it is the place to go to in Angel for Pad Thai. 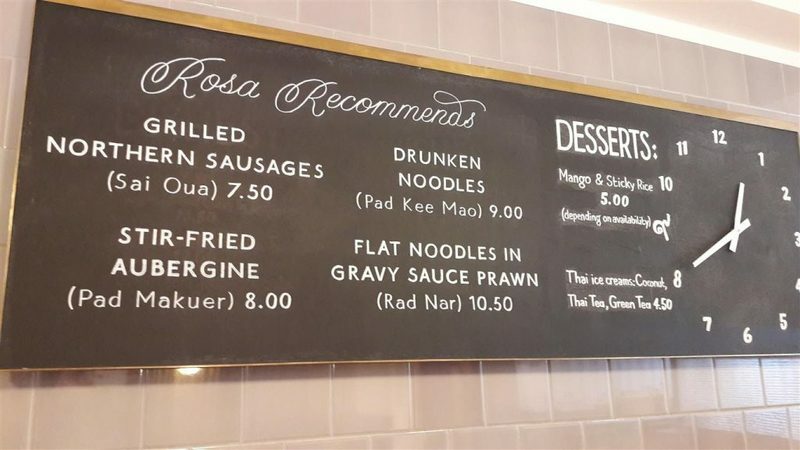 The other dishes they serve would be worth a try for sure, especially the ones on the Rosa Recommends Board.